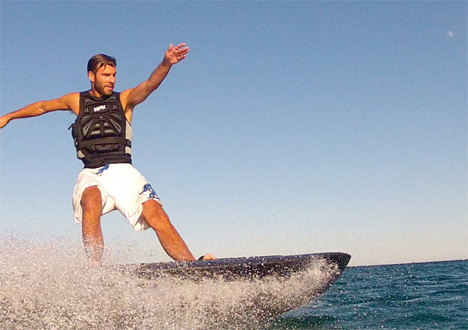 Wakeboarding typically involves standing on a board and holding onto a line that’s attached to a boat. It’s fun, but it requires at least one other person and that other person usually (annoyingly) insists on taking turns. 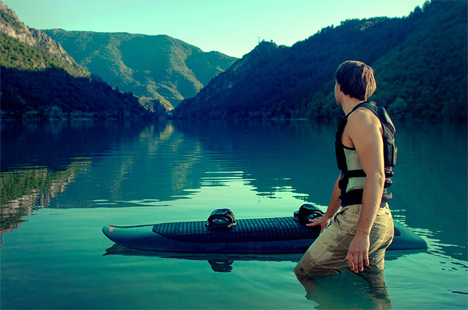 The Radinn (radical + innovation) electric powered wakeboard lets you be as selfish as you want by eliminating the need for a boat. Instead, the rider controls the on-board jet propulsion system with a handheld remote control. 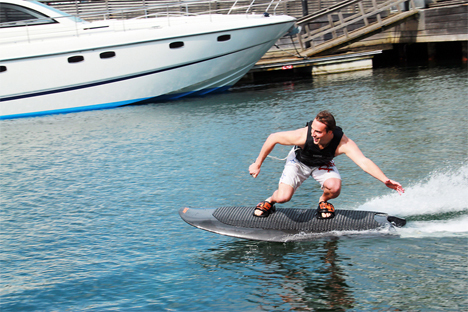 Since it’s powered by a lithium battery and not gas, the board is quiet on the water and makes riders look kind of like they’re surfing with no waves. 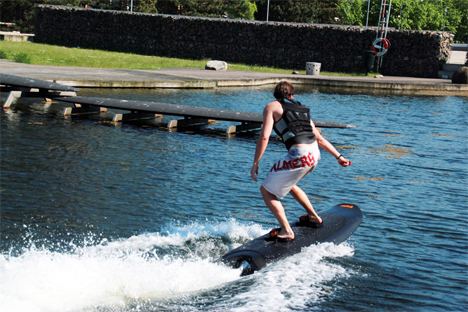 The board turns and moves in the same ways that a traditional wakeboard moves, but the rider is in total control of his or her speed and direction rather than relying on a boat. The handheld remote control has a tether, of course, to keep it from dropping into the water and stranding the rider. 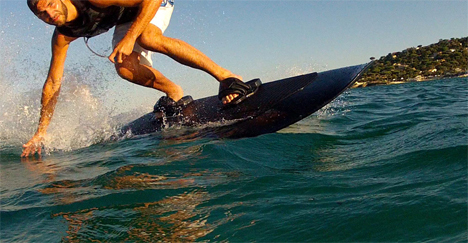 Traditional wakeboard bindings and boots can be used with the Radinn, so you won’t even have to go out and buy all new gear. 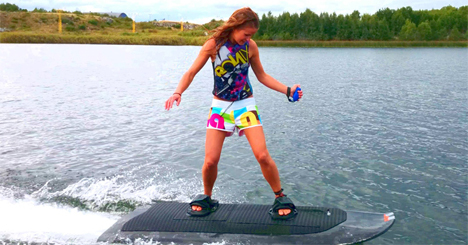 The board is lightweight and fits into a car or boat just like any other wakeboard. And in case you missed it in the video above (because you were distracted by the unreasonably gorgeous Swedish athletes), it handles like an absolute dream.